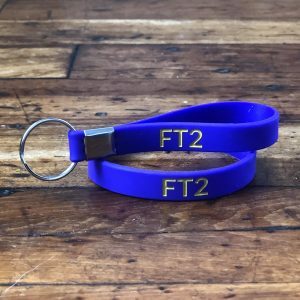 We produce a lot of wristbands that have great messages, but we are always interested to see wristbands that serve a function. These wristbands were ordered for a Winter Camp and are actually from a set of 13 total wristbands. This idea is a cost-effective way to keep events organized and are a great visual tool to serve a function for large numbers of people. 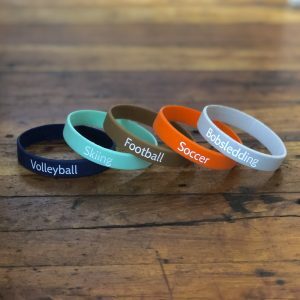 If you are looking for an eye-catching way to add more information to your wristband, than look no further. 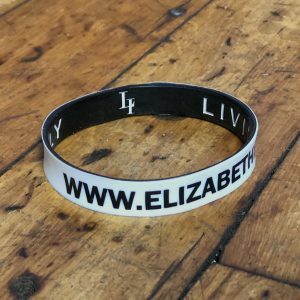 This wristband showcases our dual-layer design in a classic black-and-white combination, with the outside being black and the interior being white. You can request a dual-layer design when placing an order to make your wristband beautiful on the inside and out! Here at WristbandBros, we ship wristbands all around the world. This makes it vitally important for us to produce wristbands in multiple languages. 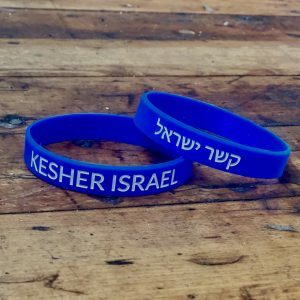 This wristband, coated in royal blue, features messages in both English and Hebrew. We love it! One of our favorite wristbands to produce is the die-cut style. 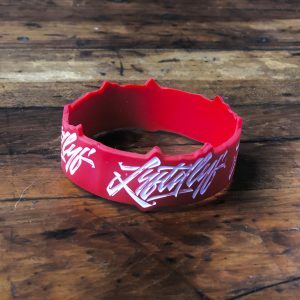 This wristband style offers a unique look that is crafted from your logo or artwork. This customer chose a red wristband with their logo to create this stunning die-cut design. It looks great! 2019 has arrived and so have our new add-on features! This customer ordered a violet wristband and added matching keychains for each wristband. These keychains are a great addition to show off your design and are easily attachable to keys, lanyards, backpacks, and much more! 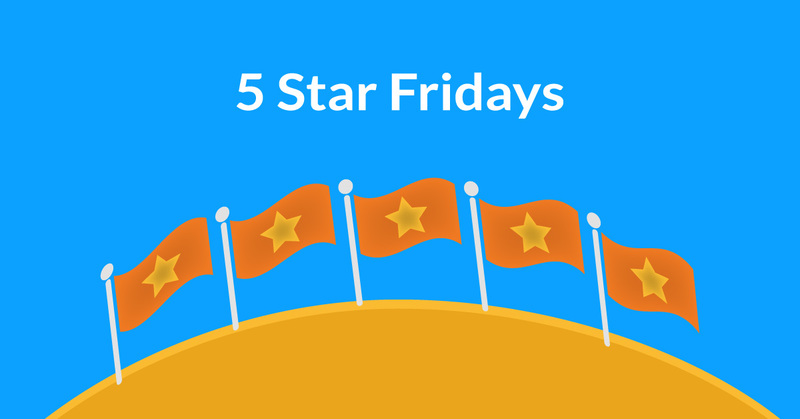 That’s a wrap for our first edition of Five Star Fridays. Check back next week for some new designs!